ARLINGTON, Texas – Team Brazil coach Renato Nunes knows his squad is in for one challenging weekend inside AT&T Stadium. The Brazilians are looking to win a second consecutive Global Cup with the start of the WinStar World Casino & Resort Global Cup, presented by Monster Energy, set to kick off Saturday night at the home of the Dallas Cowboys. “The way it is, six teams – two teams form America. This will be the hardest Global Cup to win, but it is going to be very special to win it too,” Nunes said. “If we get this. We going to say we are the best. Any event is hard. Any competition is hard if you don’t give your blood. There is one more team. We don’t have to beat four (like in Sydney). We have to beat five. This is the hard one. Fans can watch the Global Cup on Saturday (7:30 p.m. ET) and Sunday (1:30 p.m. ET) on RidePass. There will also be a highlight show on CBS national television Sunday at noon ET. Competing for Team Brazil is reigning World Champion Kaique Pacheco, 2018 World Finals event winner Marco Eguchi, 2017 World Finals event winner Jose Vitor Leme, No. 8 Claudio Montanha Jr., No. 74 Eduardo Aparecido, PBR Brazil No. 1 Fernando Henrique Novais, PBR Brazil No. 2 Bruno Scaranello, and No. 2 Joao Ricardo Vieira (alternate). Nunes has complete faith in his roster. It could be easy to look at Pacheco and Leme as his heavy hitters, but Nunes says that does not necessarily mean he will roll Pacheco and Leme into the Bonus Round without blinking an eye. He is willing to ride whoever the hot hand is on Saturday and Sunday. In Sydney, there was no denying the fact that Pacheco was Brazil’s No. 1 bull rider and heavy hitter. Pacheco went 4-for-4 to propel the Brazilians to victory as Team Brazil went an impressive 15-for-18. The 24-year-old is making his 2019 season debut and said earlier this week he has no concerns about being rusty despite having torn his MCL/PCL in his left knee 13 weeks ago. Nunes said he has no worries about Pacheco. The key for Brazil may be the performances of their two unknown riders – Novais and Scaranello. Based on Global Cup ground rules, each of the international countries coming to Arlington had to take the Top 3 riders in their national standings. 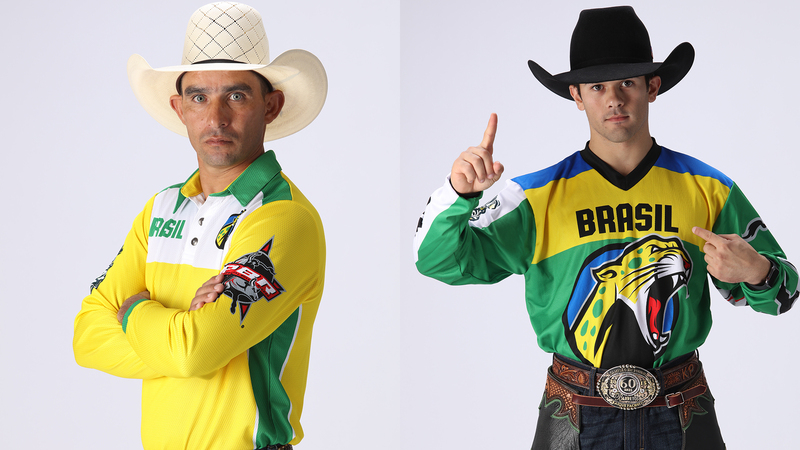 Therefore, Scaranello and Novais are being counted on to ride like savvy veterans while riders like Luciano de Castro, Alisson de Souza and three-time World Champion Silvano Alves were left off the roster. Nunes will be tasked with putting both riders in a position to succeed. Nunes does know one thing. The key number is 12. The team with the highest combined aggregate score based on their Top 12 rides will be the event winner. PBR Director of Livestock Cody Lambert has assembled a rank bullpen for the two-day competition, and Nunes is not sure if many teams will make it to the 12-ride mark. Team Brazil’s ultimate goal is to first get 12 rides on the board and then go from there. Nunes also has another expectation for this weekend. He believes his stiffest competition is going to come from the two American teams on their home soil. “America,” Nunes responded when asked who the team is to beat outside of Brazil, before joking, “I think next year is going to be three teams from America.